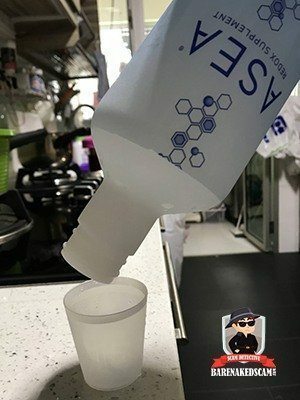 Is ASEA a Scam? - "Salt Water" or the Real Deal? A Customer's Review! >> Is Asea a Scam? – “Salt Water” or the Real Deal? A Customer’s Review! Is ASEA a Scam? - "Salt Water" Packaged in a Nice Bottle? Chances are you want to know if the Redox supplement work or if ASEA is a good opportunity to join. But things that worries you are probably the claims that it is just salt water packaged in a nice bottle, and that ASEA is a scam. In this review, I am going to expose the truth and everything you need to know about the company. Should You Join ASEA as an Associate? Is ASEA a Pyramid Scheme? Does the Company or its Associates Deceive Consumers? 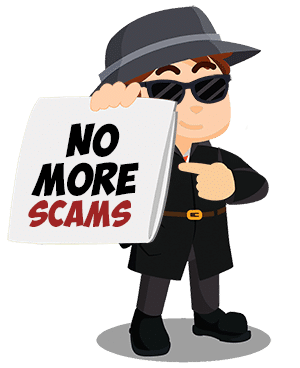 How Do You Protect Yourself from an ASEA Scam? 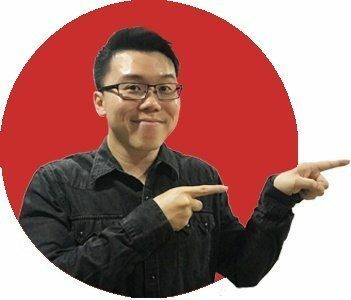 But otherwise, I will first be talking about the effectiveness of the product, and then I'll explain if it is worth joining the company as an associate. 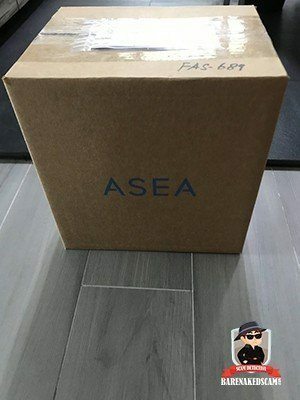 Now, to give you a well-balanced review, I've purchased a box of ASEA which consist of 4 bottles, and I am going to share with you my experience below. Interestingly, it was an ASEA associate, Jenese Garland, who wrote a comment on this page requesting that I try the product, and so I did. 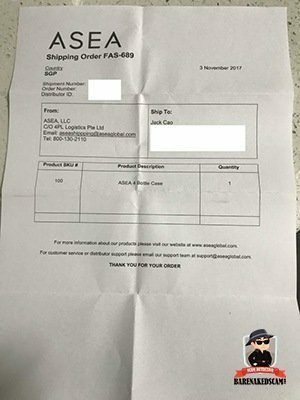 I ordered 4 bottles of ASEA Redox Supplement on 2 November 2017 (Thursday), and to my surprise, I got the package within 2 days (Saturday). The speed of delivery is just incredible. As an eager consumer, I took a couple of photos (below), then I was ready to try this "Salt Water." But unfortunately, I was only able to start the drinking it on 7 November (Tuesday) as I was going away on a stay-cation over the weekends. I wanted to be an obedient consumer, so I adhere to the recommended consumption which is 120 ml a day. 60 ml in the morning, and 60 ml before I got to bed. They even provided me with a small 60 ml cup which is convenient. Thank you ASEA for that. Here's the picture (on the right) showing my last drip of ASEA (I didn't cheat! I consumed the whole bottle). ASEA is really precise with their prescription. One bottle can last you exactly 7 days. The Taste? Well, it didn't taste like salt water for me, but it did taste like water from the swimming pool. My experience? The feeling of drinking premium water is great! It just like the feeling of wearing a Rolex as opposed to wearing a cheap $100 watch. It elevates your status subconsciously, but that's just the feeling. Does it work? Unfortunately, I didn't feel much of a difference in terms of health. But, I guess it is still too early to tell. After consuming the final drip of ASEA, unfortunately, I still didn't feel much difference. Maybe a little energetic than before, but nothing major as far as I can tell. My health wasn't in bad shape, and that's probably why I didn't feel much difference. The reason I was willing to try ASEA Redox was that I've done extensive research on the product. Many people have a positive experience with the product, even for people who are not an associate of the company. And, that's a good sign that this company is not a pyramid scheme. So, if you are on the fence, I would say that you should give ASEA Redox a try and see if it works for you. Were you a customer of ASEA? Please share your experience in the comments section below. Your experience can help others with their decision. Now, if the products did benefit you, let's talk about the business opportunity. Wouldn't it make sense to join as an associate only if you have a positive experience with the ASEA Redox supplement or any ASEA's products? But many people ignored this, and they join just because ASEA gives them an opportunity to earn money. I'll be honest with you. 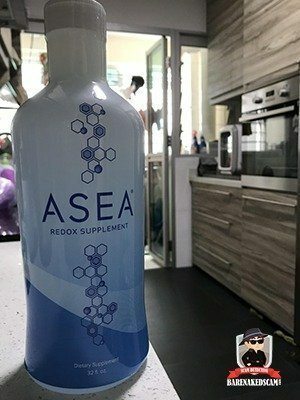 If "money" is the only reason, then there are many opportunities out there that are much easier to earn money than ASEA. The bottom line is, you need to have the passion and the drive to succeed, and this can only be found if you have had an amazing experience with ASEA's products. However, merely having the passion and the drive is not enough... There are many other factors (including a success formula) that are required to be successful with the company. 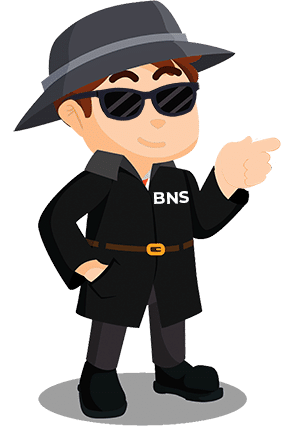 The truth is, many associates are still stuck with traditional marketing methods, and I've explained in this article why the traditional methods don't work anymore. And that is why more than 95% of the people fail with the ASEA business opportunity. 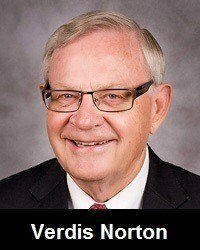 Now, let me explain further the top 3 reasons why ASEA associates fail, and then I will share with you a success formula that will increase your chance of success. 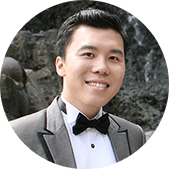 And in the end, if you don't think ASEA is the right opportunity, I will share with you the best alternative that has allowed me to build a six-figure online business. 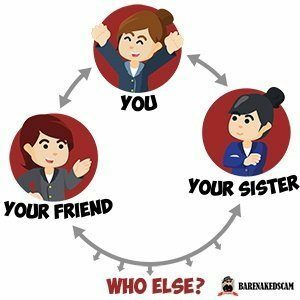 Consider this, who are the first people you will talk to about the business when you first join? Your friends and family, then comes your colleagues, and everyone you know, right? 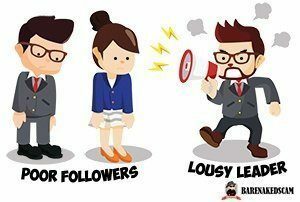 These people are considered your warm market, and for most associates, these are their ONLY prospects. Of course, the counter-argument is (as many sponsors will say), you don't need to recruit many people. You just need to recruit 2 to 4 people to your organization at the start, and then you train them to recruit their 2 to 4 people, and the process goes on. It is almost like a self-fulfilling prophecy. The problem with this mindset is that there is a high drop out rate of associates, and you need to probably meet hundreds of people to recruit that 2 to 4 people. Which means that you'll constantly need to recruit new associates whenever your current associates leave the business (I'll explain why there is a high drop out rate in #3). By the way, if you don't know it yet, building a sales team or recruiting is the only way to succeed in the ASEA business. What happens when you have burned through your warm market list? 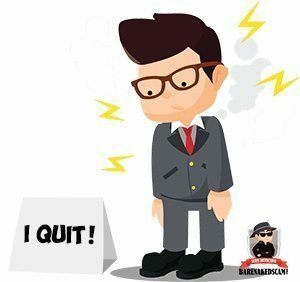 Is it the end of your business (it is the end for most associates). Click Here: Learn How to Find an Endless Stream of Prospects For Your ASEA Business. The truth is, your success or failure with the company is almost already determined by the team you join. If you join a team of people who are helpful and supportive of each other, but they have no clue how success tastes like, you will fail. On the other hand, if you have successful people in your team but they care less about teaching how to succeed, you will still fail. And, because there are only a handful of ASEA associates (3% to 5% of all associates) who have tasted success, it is tough to find someone successful in your team to coach and guide you. Your chance of success if stack against you. I would say unless you have direct access to top earners, I would suggest that you avoid the ASEA business. Now, as you know, recruiting a team of associates is the only way to be successful. You can't rely solely on promoting ASEA products. Honestly, convincing someone to try the ASEA products is already tough, asking people to join the business is even harder. Especially when you do not have any prior sales experience, you are going to find it hard to acquire the soft skills required by the job. Soft skills aren't learned overnight, and it can't be learned from the books as well. This would mean that you have to put yourself out there and stomach a ton of rejections. Rejection is inevitable; it comes with the job. And unfortunately, many people do not have the patience or the right attitude to acquire this skill. Not an easy business opportunity after all, right? I wonder why some people promote ASEA as an easy way to earn money. Now, what do you think? Are you suitable for this business? If you don't think so, check this out. ASEA is a Multi-Level Marketing company in the health and wellness industry. The company has defined itself as the only source to repair the redox imbalance (cells) of our body through a cutting edge technology known as Redox Signalling. More information on Redox Signalling can be found here. 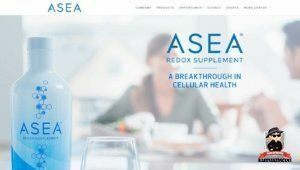 With ASEA's Redox Supplement, it is said to positively impact the cellular health of every system of our bodies, and to help us achieve optimal health. As we age, our normal cellular function declines, and it makes sense to have a supplement that will aid with the deterioration and possibility help us to prevent diseases. The fact that the Redox Supplement provides healthy benefits, it cannot be promoted as a product which prevents or cure diseases, according to the FDA. Besides, the products of ASEA are not clinically proven to prevent or cure diseases, though some distributors claimed that they could. ASEA was founded by Verdis Norton and James Pack, and was officially launched in 2010 with only one product line, its "Redox Supplement". In 2014, it successfully launched its RENU28, a whole-body skin gel that also leverages the benefits of redox signaling molecules, and following another product line "RENU Advanced." Note: To enjoy the Wholesale/Distributor rate, you must apply for its autoship (monthly automatic purchase) for any one of the ASEA product. Normally if a company didn't do an excellent job in explaining the compensation plan, I would do my best to simplify it. However, ASEA has done an excellent job on that, so I don't think I need to explain further. You can find the information here. Now the biggest question you probably have, "Is ASEA a Scam?" It is because there are so many things to discuss about the ASEA products and the business opportunity that leads to this conclusion. If you haven't read the above yet, I highly suggest that you do so. When assessing ASEA I looked at the retail value of the products. As you know, I have done extensive research and have read many reviews by people (associates and non-associates) who have tried the products. What I found is that the Redox Supplement did benefit many people (even for non-associates). This means that ASEA has legitimate products (and none of those that the FTC has described), hence ASEA is unlikely a pyramid scheme. Unlikely? Let me explain. No matter the legitimacy of ASEA, there will be a group of people who will package the business opportunity as a pyramid (recruitment) scheme. 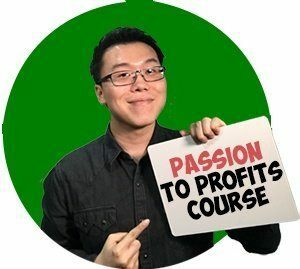 These people will lure others to the business opportunity claiming that it is easy to earn money. They have little to no regard for promoting the products or its benefits. In such a case, it is up to the management of the company to control its associates, and if they can't manage them well, they risk having the FTC on their case. Because ASEA is a people's business, it is inevitable that some consumers will feel cheated. That's why there are allegations against ASEA due to its unfair business practices. Those allegations were not directly related to the company, but rather, they were directed to several of their associates. Those associates deceived the consumers by claiming that ASEA Redox Supplement has healing capabilities (when in fact the product is not medically proven to heal). This is an illegal practice, and it is even stated in the ASEA's Policies and Procedures for associates. Those associates were either deliberate, negligent, or utterly ignorant about the fact that they are breaking the law. How sad is that? So the verdict is, no matter how legitimate ASEA present themselves, there will be a group of people who will give the company a bad name. You should only join the opportunity because the products are beneficial and you want to share it. I hope these help, and feel free to share your ideas as well in the comments section below (if you have any). If you've decided to join the ASEA as an associate, I would highly suggest that you learn the network marketing success formula from this program. 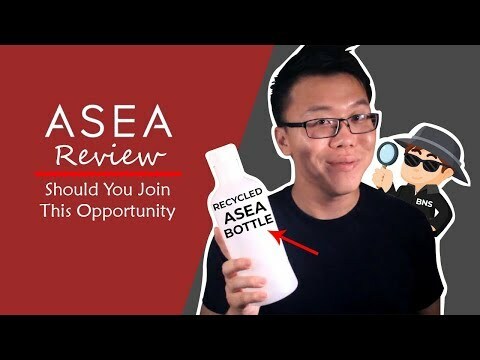 However, if ASEA is NOT a suitable business for you, and you are still looking for a way to earn extra money, then I would recommend that you check this out. Anyway, if you still don't know who am I, I'll like to share my online success story with you. Thank you so much for reading this ASEA review! I hope that I have provided you with ample information, and if you find this helpful, please share it! Others might be looking for this information.